Why settle for just any shades, shutters or window blinds when you can have quality, custom-made window treatments? 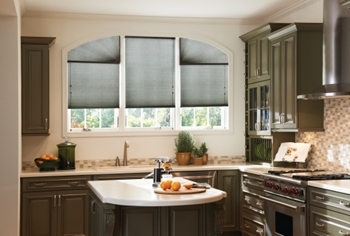 Here at Luv R Blinds, tailor-made window coverings are kind of are thing, and have been for 25 years now. We take this line of work seriously and that is evident from the customer approval rating we are able to get for each and every one of our clients. Getting the right window treatments is about more than just getting the look or functionality that you want. Keep in mind that this is about putting the finishing touches on your dwelling and transforming it from just a house to the home of your dreams. However, the best way to do this is to make sure that you partner with an industry expert, in order to get the perfect look and the best quality. We will work with you to ensure that you understand the options that you have available, in order to make the right choices for your home. The service we offer is about more than selling or installing your window coverings, it is focused on giving you the best possible experience all around. 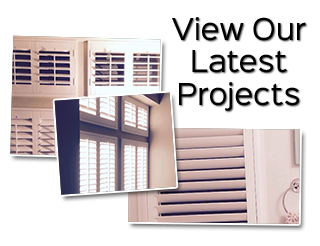 Here at Luv R Blinds, our shutter company wants to be your Placentia shutter company. The primary function of your window dressings is to offer privacy and light control. Of course, for some people, this may not even be an important issue, which certainly opens up your options for selections even more. However, the average homeowner would like some level of ability to control their privacy and light amounts, and we can help you comprehend which styles would work best for you. Window treatments also offer a certain level of additional insulation for your windows. The type of treatment that you choose will be what makes all of the difference. However, every style offers at least some amount of this. The main benefit of this is that you get better energy-efficiency from your windows and that means lower utility bills and a more Eco-friendly household. When deciding which style of window treatment to go with, think about the fact that this is a feature of your home that will impact the appearance, both inside and out. So the decision that you make will effect not only the interior design aesthetics, but also the exterior curb appeal. Choose wisely or you are likely to end up regretting the decision that you have made. It may not seem like too involved a task, but you can rest assured that it always ends up more daunting than you first suspect. This is one reason it is so important to partner with a true industry expert, and get the feedback that you want, and need so you end up with the results that you deserve. Don't settle for less than the best when it comes to every last detail of the place you and your loved ones call home. Luv R Blinds is the only name you need to know in order to get superior service and exceptional results. While we are certainly well-rounded pros in all facets of window treatments, window blinds happen to be one of our areas of expertise. We take great pride in the work that we do which is how we have been able to establish and maintain the impeccable reputation that we have. Whether you know what style you want, or still need some professional input, either way we can help. You are going to love the final results we help to create for you, and that we can guarantee. Make the wise choice to call us today and let's get started with your window treatment project. If you are looking for a window blinds, shutters and shades company in the Placentia, California area please call 951-736-9650 or complete our online request form.